Join more than 650 companies and take advantage of the highest quality audience this region has to offer. Colorado’s oldest and largest garden and home show is February 22 -March 1, 2020 at the Colorado Convention Center. Exhibit and sell your products and services to more than 50,000 attendees at the region’s most prestigious event. 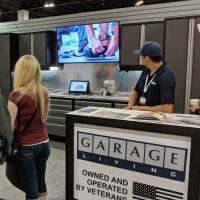 With 400,000 square feet of exhibit space, more than an acre of flowering gardens and 1,400 booths, the Colorado Convention Center is turned into a home and garden marketplace for 9 days. Booth space is assigned on a first come, first serve basis to qualified companies with products and services not already substantially represented in the show. To reserve your space, please call 303-932-8100 for current booth availability. Save the date for the 2020 Colorado Garden & Home Show, February 22 - March 1 at the Colorado Convention Center. Join more than 650 companies and take advantage of the highest quality audience this region has to offer. Exhibit and sell your products and services to more than 50,000 attendees at the region’s most prestigious event. Pricing, Show Information, and a link to the floorplan will be available early-May. In the meantime, please call our office at 303-932-8100 with questions or email us at Info@ColoradoGardenFoundation.org. Feel free to read about the 2019 Show too and get familiar with the event. Be sure to come check out over 650 companies at the Show and over 1,400 booths! 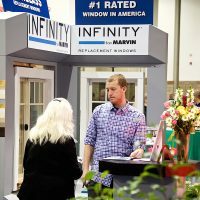 Click here to view the 2019 Colorado Garden & Home Show Floorplan and all exhibiting companies. 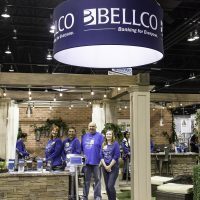 If you are already exhibiting at the Colorado Garden & Home Show please continue reading to learn how to order electricity, water, WiFi, additional badges, and increase your show presence. Stayed tuned for 2020 Show Information to be published in December 2019.